Col. Kirk B. Stabler, the Air Force Office of Special Investigations commander, presents fallen Special Agent Lee Hitchcock’s Bronze Star Medal to his brother, Craig Hitchcock, during the OSI headquarters inaugural Celebration of Life Remembrance Ceremony May 22, 2017, at Quantico, Va. The Headquarters, Air Force Office of Special Investigations at Quantico, Va., presented the Bronze Star Medal to the brother of the first OSI fallen hero, nearly 50 years after he was killed in action. During its first Celebration of Life event May 22, 2017, OSI also remembered the lives and honored the legacies of its 16 fallen heroes throughout the years with families, friends and colleagues of the fallen in attendance to share personal reflections of their departed. 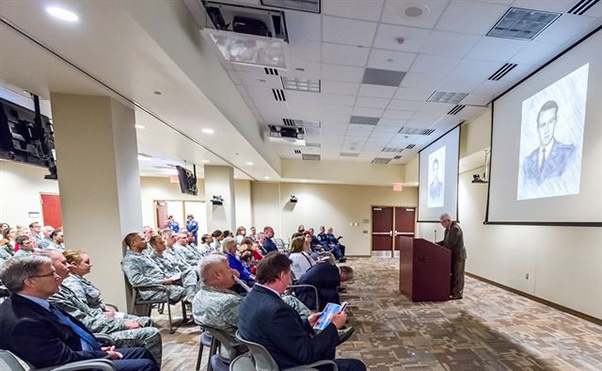 “We were honored to host the family members, listen to their inspiring stories and acknowledge the countless relationships still impacted to this very day,” said Col. Kirk B. Stabler, the OSI commander. 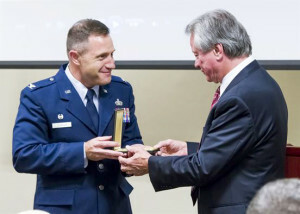 Stabler had the honor of presenting the Bronze Star Medal to Mr. Craig Hitchcock, brother of Special Agent Lee Hitchcock who was the first OSI fallen hero. SA Hitchcock, then the OSI Detachment 5008 commander in Pleiku, Vietnam, was killed Sept. 10, 1967, when the OSI villa he lived and worked in was attacked by Viet Cong guerrillas. They shot the South Vietnamese sentry guarding the building and mounted a 20mm rocket attack hitting SA Hitchcock’s bedroom as he was moving toward the door. He died shortly thereafter from wounds sustained in the attack. He was posthumously awarded the Bronze Star Medal with “V” device for consistently demonstrating professional ability, sound judgement and great enthusiasm for his duties and associated responsibilities. Why was the medal presented again? Years passed until Mrs. Leslie Rivers and her disabled Vietnam veteran husband Robert found the Bronze Star Medal in an antique mall south of Indianapolis. How it got there is a mystery to them. The portrait of the first Air Force Office of Special Investigations fallen Special Agent, Lee Hitchcock, is shown on two large screens during the OSI headquarters inaugural Celebration of Life Remembrance Ceremony May 22, 2017, at Quantico, Va.
Craig Hitchcock was the first to share personal reflections during the Celebration of Life event as a video presentation of his fallen brother Lee was shown on two large screens to a capacity audience in the Russell-Knox Building Collaboration Center. Following the ceremony, Craig Hitchcock gave his perspective on what it meant for him to talk about a fallen family member. “Lee was part of something pretty wonderful. 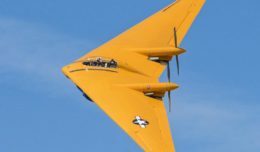 And he was doing something he loved doing,” Craig Hitchcock said. “I’ve come to grips with the notion that regardless of the war, or the outcome, Lee served to protect us with honor and distinction, as do the others serving us today. And that’s where the focus needs to be, to remember them.